Whether you are planning a family fun night, trying to get the kids off their phones, or trying to pass the time on a rainy Saturday afternoon, board games can come to the rescue. They provide kids with so many positive experiences. When spending time outside is not possible, board games are a great alternative to spending time together and also providing children with an experience that offers many benefits. Board games are a wonderful experience to challenge your children mentally. It boosts their cognitive skills–short- and long-term memory, information recall, and information retention. Working the mind through playing board games also benefits them socially. The question is what kind of board game are you looking for? Some games offer a quiet time activity while others will get everyone in the house up and moving. This list covers it all. Here are the best board games for kids. The products on this page have been reviewed and updated. Each product has been reviewed to ensure it meets the criteria of our website. The products have been updated to reflect the best board games on the current market. 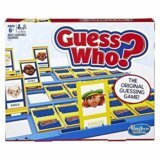 Parents get ready to feel a sense of Nostalgia as you watch your child enjoy the classic game of Guess Who. Designed for two players, each player has a tabletop board with small windows. The windows flip up to reveal 24 faces of men and women with their names written underneath. Each player draws from the deck of cards included in the box and does not show the other player. Each card represents one of the 24 faces on the board. 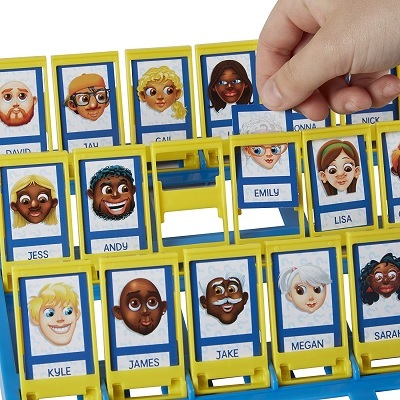 Since the original version of guess who, the character cards have been updated to display more diversity Both players take turns asking questions about the physical features of their opponent’s card. For example, one player might ask “Does your person wear glasses?” or “Does your person have blue eyes”. Questions can only be answered with yes or no. If the answer is no, then the person who asked the question puts all people with glasses or blue eyes down on their board. If the answer is yes, then they put down all the people without glasses or blue eyes. The first person who guesses their opponent’s character wins. 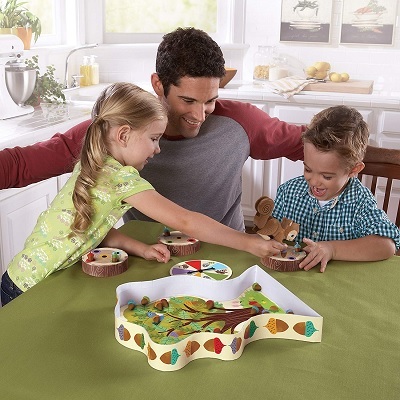 With two gameboards in the box, your child is encouraged to engage in social play. As your child uses the process of elimination to determine their opponent’s character they will be increasing their deductive reasoning skills. As they listen and respond to the questions they are being asked they will improve their comprehension and speech-language skills. Your little one’s vocabulary will improve as they work to come up with adjectives. The game will instill a healthy level of competition in your child and will increase their confidence level when they come out victorious. 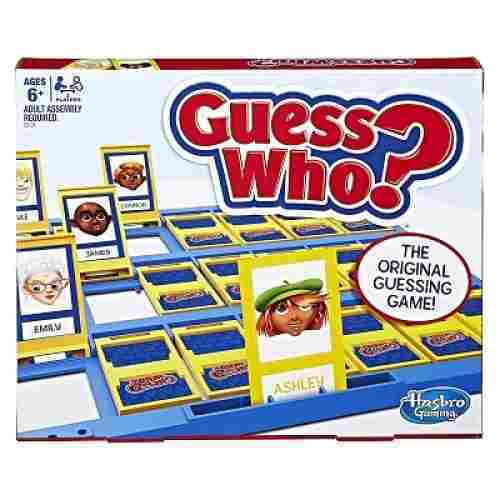 While the objective of the game is simple enough for young children to play, people of all ages will enjoy trying to guess their opponent’s character. Guess Who is a classic game that has been around for generations, it’s great to see that it has evolved with the times and now includes more diversity in the characters. No need for a board, dice, game pieces, etc. Do you think that five seconds is enough time to name three things that have to do with one topic? For example, “name three famous bald people” -- not so easy! 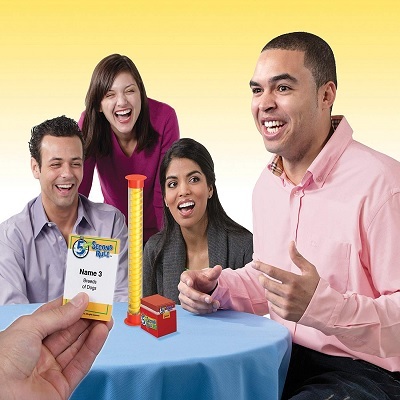 This hilarious card game operates under the pretense that players can be fast-thinking enough to rack their brains and come up with three answers in five seconds, and because of that, it’s an amazing skill game. While the questions seem so simple and the answers so plainly obvious, once a time limit is involved it becomes a whole new ball game altogether! It’s an exciting way for pre-teens and teens to have fun with their families and friends while testing their skills and knowledge. The rules are simple to explain and there are minimal pieces involved which also makes it great for travel or playing on-the-go. The only skill required to play this game is a love for thinking under pressure and some general knowledge. This game will challenge what you know while helping your kids become great thinkers under pressure. Working well under pressure is something that nearly all of us will have to deal with at one point or another. 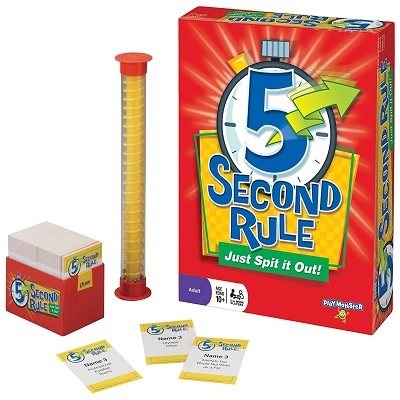 This game teaches kids how to do that but also helps them recall knowledge and improve their memory. t’s time to add some mystery and intrigue to your family’s game night. 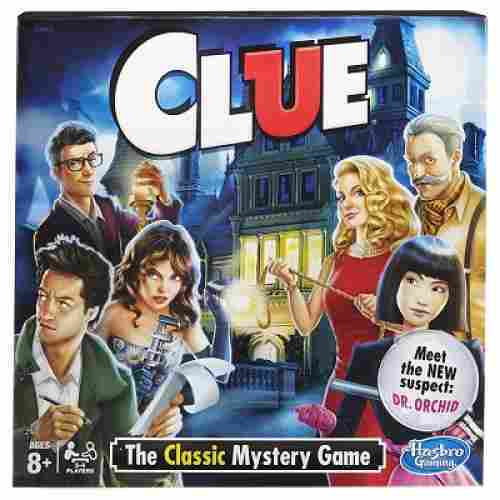 Last but not least is Clue, the highly interactive family favorite that turns every player into a suspected murderer! 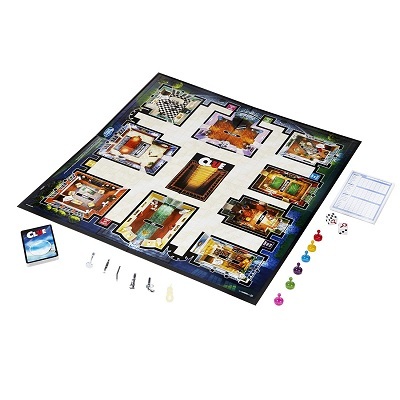 Clue is great for kids ages eight and up but is fun for adults as well. It’s also great for groups up to six but suitable for groups as small as two. Your goal as a player is to answer all the Who’s, What’s, and Where’s about who’s been killed and which player has done it. Follow five classic characters and one new one -- Dr. Orchid -- as all players try to unravel the mystery by narrowing down who has what weapon in which room. Once you’ve collected enough clues, it’s time to make your educated guess. Everyone will have a blast trying to solve the mystery of who killed Mr. Boddy in Tudor Mansion! The basis for Clue is problem-solving. While the clue-collecting aspect makes kids feel like they’re solving a real mystery, they’re also working on their method for the process of elimination and strategy skills as well. 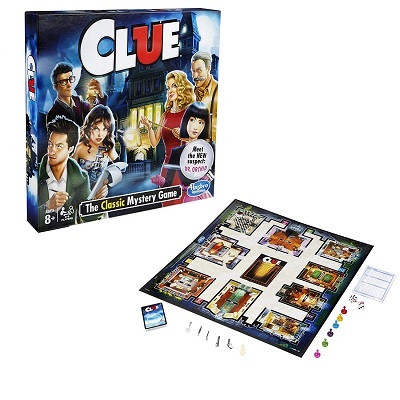 Classic games are classic for a reason and Clue is no exception to this. This board game is cloaked in mystery and intrigue and we like that it stands apart from any other board games. The problem with some traditional board games is that reading is an essential part of learning and knowing how to play. 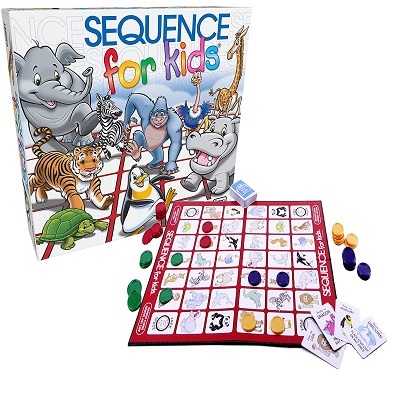 Sequence for Kids is a breath of fresh air for parents looking to provide their younger kids with board games, especially if reading is not their strong suit yet. This game consists of using matching cards in conjunction with the board layout to get a row of pieces, or a “sequence”. By using certain cards the players have been dealt, they can choose to use a card to place one of their pieces in an attempt to string them together to many a row. The game becomes interesting when unicorn and dragon cards are thrown into the mix; unicorns mean a chip can be placed anywhere, while a dragon chip means moving another player’s chip. 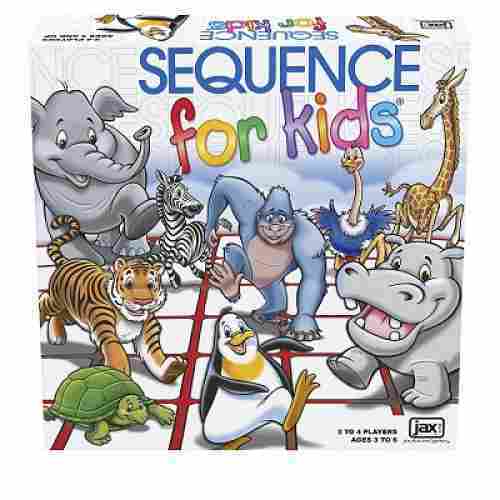 For a fun game that makes good use of critical thinking, Sequence is definitely one to consider. There’s no need for players to have advanced reading skills to take part in this game and that makes it open to all ages. 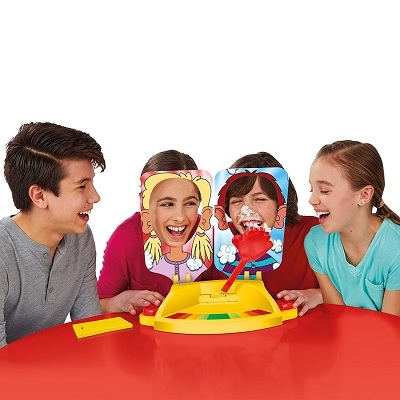 It’s an entertaining way to use your noggin to come up with a winning strategy without needing to spend a bunch of time reading game cards or instructions! It’s a very nice way to relive the past while at the same time help encourage kids to think strategically. It can be a great tool for strengthening family ties as Sequence can also be played in teams. While this game may appear to be ordinary and simple, it actually helps kids to learn an array of skills! 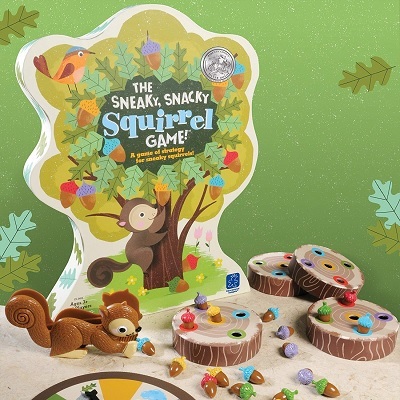 The Sneaky Snacky Squirrel Game is based on the book that accompanies it and provides a delightful read-along for a game that will entertain kids ages three and up. 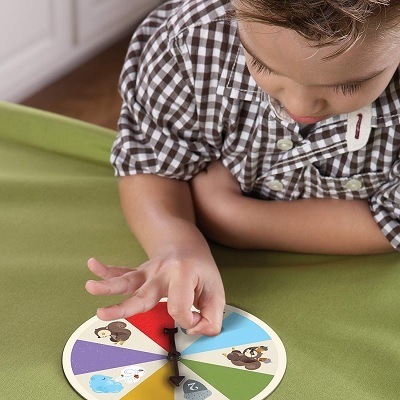 The game is played by using the colored spinner to try and land each one of the colors, which match up with one of the acorns in each tree that each player is given at the beginning of the game. 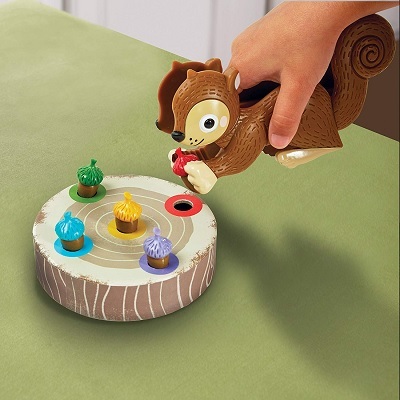 The goal is similar to Bingo because the first person to have a fully lit acorn tree, wins! 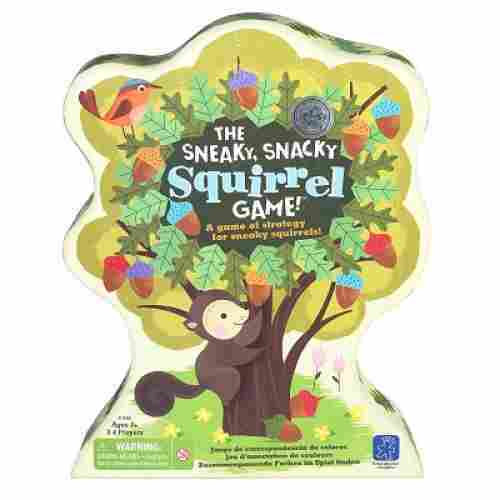 As players go through this game they can read along with the Sneaky Snacky Squirrel and see what silly things he’s up to on his way to collect as many acorns as possible. This game teaches strategic thinking as well as matching skills and is a great game to play in a group at school or on weekends. The book is simple to read and will help kids improve both their written and verbal skills in addition to teaching them how to read along. 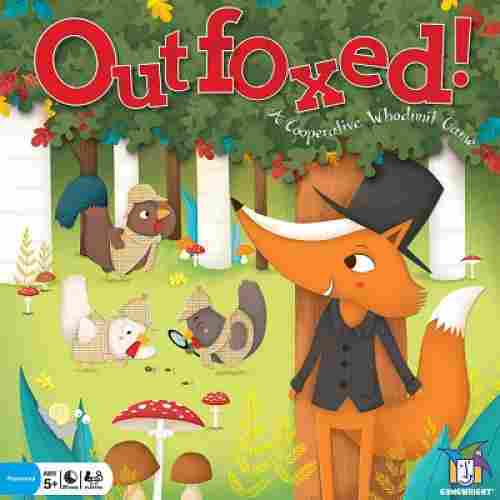 This is one adorable game that is perfect for preschool as well as elementary school ages. Reading along with a funny book makes playing games more entertaining because kids will have something to relate their gameplay to. This game helps to improve a well-rounded variety of skills that are important to a growing child. The game is excellent for reinforcing young kids’ color recognition, pre-handwriting skills, fine motor skills, and hand-eye coordination. It also helps in the development of children’s matching skills, organizational or sorting skills, and strategic thinking skills. 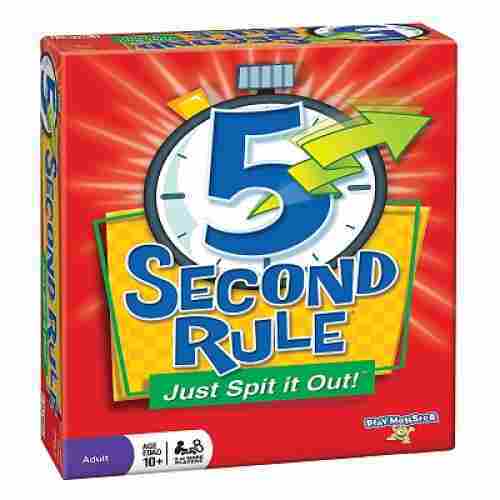 Perhaps more importantly is that the board game teaches kids about the value of waiting for one’s turn. Are you ready to bring some quirky fun to your family’s weekly game night? 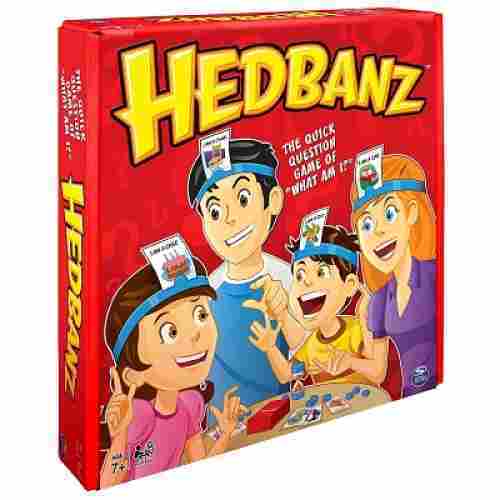 Hedbanz may be just the game you’re looking for! Similar to Charades, Hedbanz is a hilarity-inducing game that is sure to spark new creativity and add a bunch of laughs to your game nights. Before playing, each player is equipped with a headband that will hold a future card. When a player gets a card, he or she is required to stick it in their headband without looking at it. When the timer starts, they have the chance to ask everyone else questions about what may be on the card in an effort to guess it before time runs out. 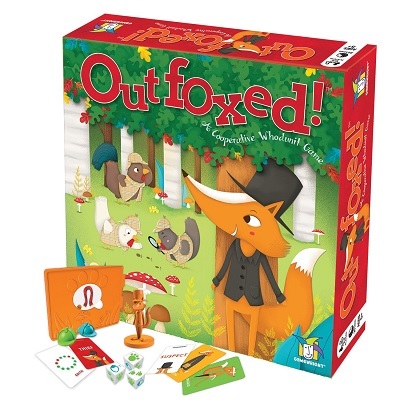 This game is sure to be tons of fun and is best played in larger groups, but can be played with as few as two people. It’s great for ages eight and up and fun for the entire family or a group of friends! 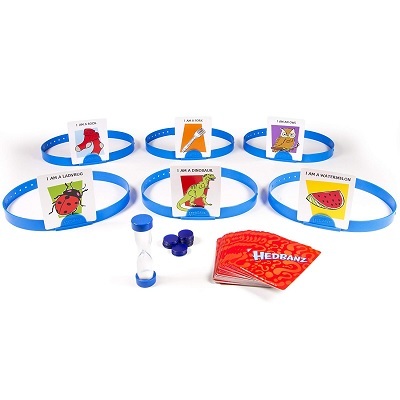 The more cards you guess right, the more points you rack up and the closer your team it to winning -- Better put on those guessing hats, or in this case, Hedbanz! 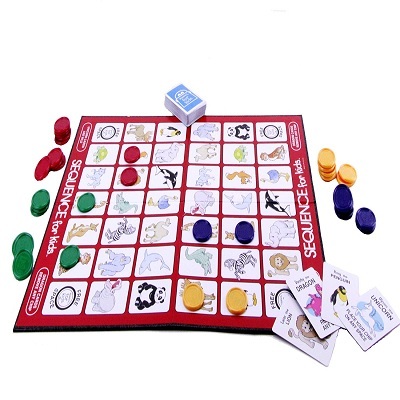 The unique guessing aspect of this game encourages solid thinking skills and mystery solving. Without knowing what the card is on their headband, the player is required to take the answers they receive and piece them together to solve the mystery picture. It’s all about kids’ depth of vocabulary. The more things and objects he or she knows, including their descriptions, the better the kid is in winning the game. It can be a great addition to any kids’ party. From the makers of one of the most popular board games on the planet comes the version just for kids. This version includes many items that are made specifically for the younger children. The tokens are adorable little characters rather than the standard silver ones. Being designed just for the kids, the game has simple rules and is played much faster than the regular version. 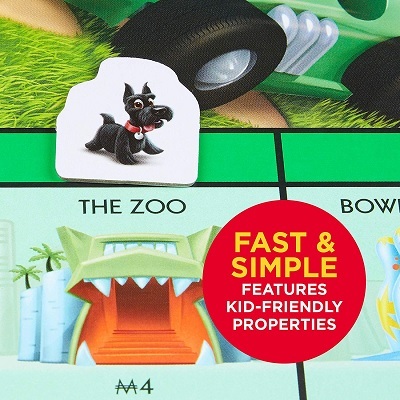 All of the properties are kid-friendly and have fun names. 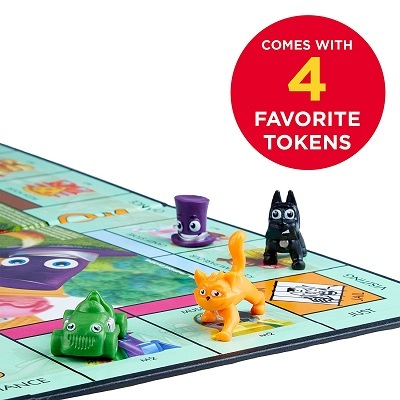 Included with the game board are junior tokens, chance cards, signs for sold properties, banknotes, and character cards, along with a detailed instruction guide. 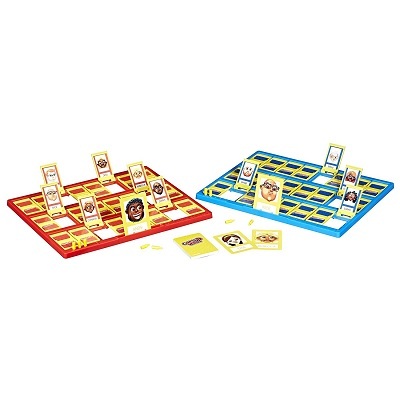 This kid version of the timeless, classic board game will be the hit at your next party. Board games deal a lot with cognitive skills. They stimulate the parts of the brain that control memory, information preservation, and advanced problem-solving skills. These skills help develop and boost the mind along with sharpening both long-term and short-term memory. Easy game to play with the kids. The easy and simple prompts make it possible for the kids to play alone. This is a great classic game with kid-friendly theme. Richard Scarry is well known for its bright, bustling town filled with fun characters and silly situation and now your child can feel like they’re apart of it. 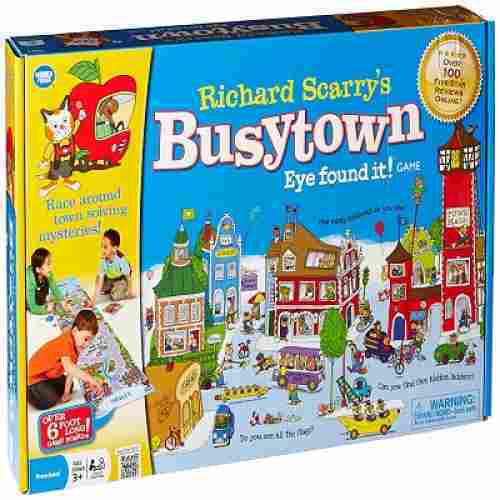 The Busytown Eye Found It board game consists of a six-foot board (whoa!) that depicts all the aspects of town like that kids have grown to love, as well four moving pieces and bases, one spinner, one ferry tile, ten magnifying glass tokens, six food tiles, 30 goldbug cards, one sand timer, and an instruction manual. All of these pieces come into play one the spinner begins going and within seconds this game board becomes one giant game of hide-and-go-seek. Each person is instructed to find the item depicted on the card that they choose by the timer runs out, but there’s a kicker -- everyone is allowed to play “eye spy”! This creates a fun challenge for kids to use all the skills they have to be the first one to spot what’s on the card, otherwise, someone else will be jumping away with their extra turn. 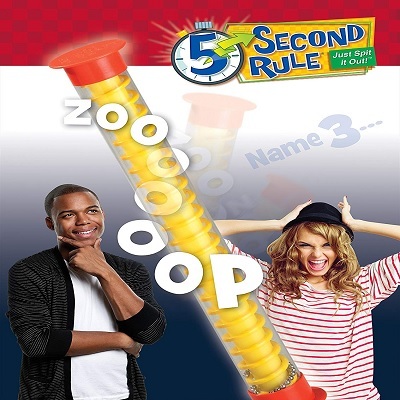 This game is a blast and can be played with two to four players, ages three and up. 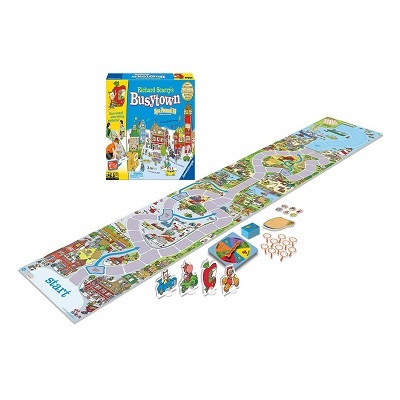 Richard Scarry’s Busytown game forces kids to use their visual and memory skills to remember where things are and find them under a time limit. This creates a challenge but adds to the fun without being stressful and overwhelming. It’s a great board game for cooperative play as the whole 6-foot board game will have different sections that require strategic coordination. It can accommodate up to 4 players at a time so this should be great for fostering strategic thinking. We all have that one family member or friend that we’d love to watch get a pie thrown at them, are we right? Well, now you can! 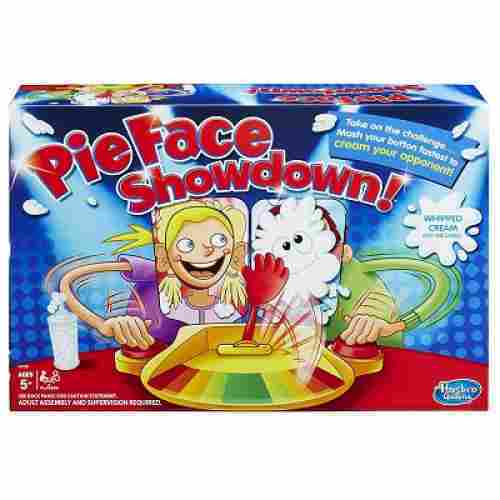 Pie Face Showdown is a genius way to watch someone get creamed and be responsible for doing it. 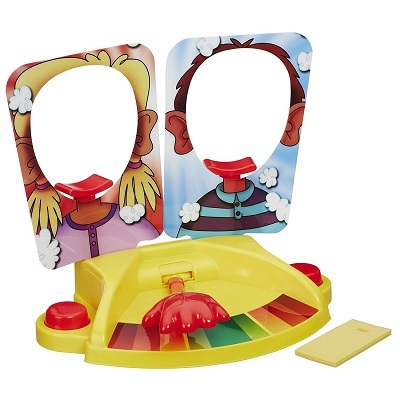 The way the game works is that each player is first set up with a headrest that comes with the game and before the game starts both players are required to lean their faces against the included face cut-outs. A red button is placed in front of each player and it’s attached to a meter -- this is what will determine which player gets a face full of cream. At the count of three, both players begin hitting the red button in an effort to push the meter closer to the other opponent. Whichever player can’t keep up will soon be the unfortunate pie-eater! The “pie” is simply just whipped cream (not included), or can be substituted with a dampened sponge (included) for a food-free game. This game is simple enough but hones in on an important skill: Timing. With the use of hand-eye coordination, players are literally forced to hit the button as many times as they can while keeping a rhythm steady enough to force the meter in the opposite direction. Hand-eye coordination is the absolute key to winning this game. If a player misses hitting the button or misses a beat, he or she is at risk of going home with a face full of whipped cream! It’s great family fun. 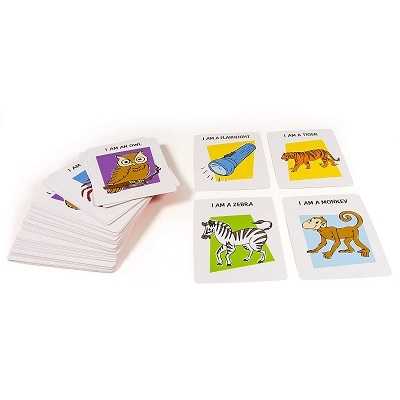 Can teach kids about numbers and helps as well in the reinforcement of motor skills. Gather the clues and move about the game board to crack the case of who stole the pot pie. This easy-to-play and fun-to-solve mystery game was created just for kids. The goal of the game is to move around the game board and collect clues about the missing prized pot pie. Using the evidence scanner, players are able to determine who is not the suspect. They will have to work quickly and together with the other players because if they don’t the guilty fox will be out of the game before they know it. Who will catch him, no one knows? 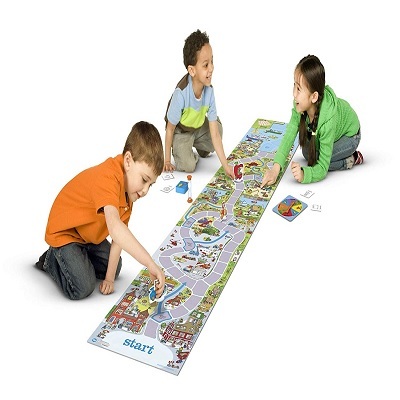 The game is best for children over the age of 5 years old for two to four players. Each round of the game takes about 20 to 30 minutes to play. This “who did it” game will be the best game to hit the table since the pizza arrived. Social interaction between children is a great benefit of board games. It allows children to interact in a setting, helps develop relationships and builds strong bonds. Board games are not only good for relationships between other children but with adults as well. Game night is a way to interact with your children and build a positive relationship. Quick and simple game that the little ones will enjoy. Great game for the family fun night and everyone in the family can be included. 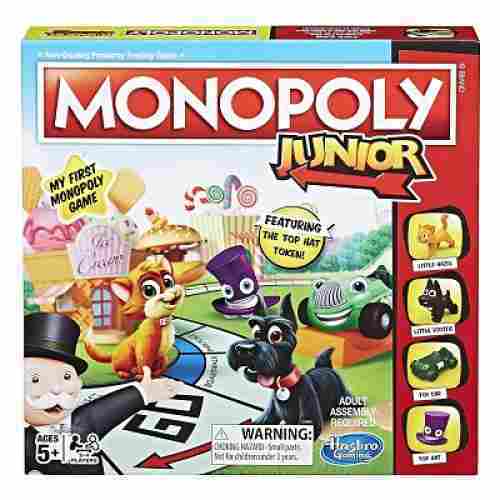 We know that parents want only the best for their children, never wanting a subpar experience or shoddy products, which is why we chose mostly games from well-established companies, such as Hasbro and Melissa and Doug. What makes them so special you might ask?! As you can see, they cracked the code a long time ago as indicative of their longevity. Consumers just keep coming back generationally, giving credence to the old claim that "if it ain't broke, don't fix it!" At it's core, life is simple! It can and should be taken step by step. As humans develop, we come to understand this more with time. One of the purposes of board games is to inculcate this into children. It can only be done kinesthetically. Thus, the popularity of the game, Life! The brick-by-brick wealth-building game of Monopoly. The ability to quickly adapt and think two steps ahead as developed in a game like Battleship. Creativity is another basis we focused on! Staying with the theme of simplicity, since the simple can keep it fresh. We wanted to market to parents who understand the social development and grounding benefits that can never be achieved through Smartphone apps. It's as simple as revisiting the game of tic-tac-toe! Whenever you think of a board game, you will automatically think of intelligence, wit, and strategic thinking. 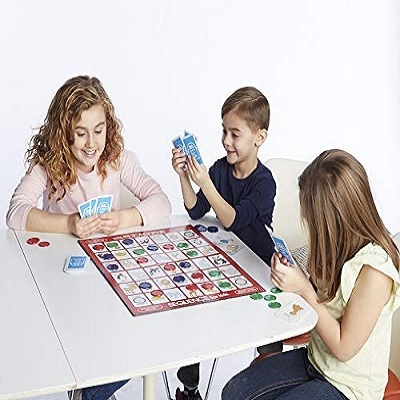 While it is true that board games have been utilized by many professionals to get an idea of the cognitive abilities of individuals and not only children, board games do provide additional benefits other than cognitive. For starters, on the physical side of things, many board games allow young children to master the control of their fine-motor skills. This requires absolute coordination of the different small groups of muscles of the hands and fingers to move board pieces. Rolling a die may seem benign but this requires coordination of the muscles and tendons of the hand plus the strength and balance coming from the forearm and the wrists. Additionally, some board games also help reinforce hand-eye coordination and the development and enhancement of their spatial intelligence. Board games may be very popular to all members of the family but choosing the right kind of table games for kids may not necessarily be that easy. You really have to make sure that the degree of complexity of the board game is just right for the cognitive level of children. As such, we have done our part to bring to you the 10 best and most popular board games for kids you will ever find in the market today. We assigned our team of researchers to scrutinize every board game today, making sure that these games are on par with the developmental requirements of children across different stages. We had to make sure that the board game will be able to help further enhance children’s psychomotor and cognitive development as well as help foster beginning emotional and social skills. 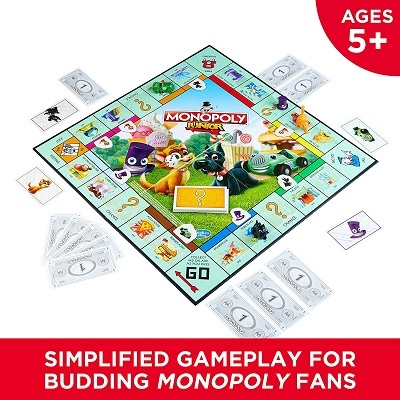 We also had to look at what other consumers and parents who have already bought the board game said about it and identify any concerns or issues that they may have regarding the board game. Lastly, we also had to consider the board game manufacturer’s credibility and trustworthiness as an organization. Coming up with a credible list of the 10 most-popular and highly rated board games for kids is not easy; but we did it anyway. We hope you will find something on our list that will merit your attention and consideration as a suitable gift to your children. That playing board games is a great way to teach your children practical life lessons. Most games teach children about good deeds and virtues. This will help encourage their career development and also help teach them about the art of negotiation. Family fun night at home is a great way to save money and it also benefits the kids. It creates an environment that allows them to be able to bond with family and friends in a comfortable home setting. We understand that in this, close family and friend activities are paramount. Aside from the mechanics of the game, the most crucial aspect of cognitive development comes from times of bonding. There’s that give and take that comes from learning about cooperation and competition; team efforts that can result in a win or a loss; and, also how to take responsibility in both scenarios. This develops healthy self-esteem in children. The educational benefits have shown that in many cases children’s board games increase IQ in middle schoolers, as well as helping verbal skills. 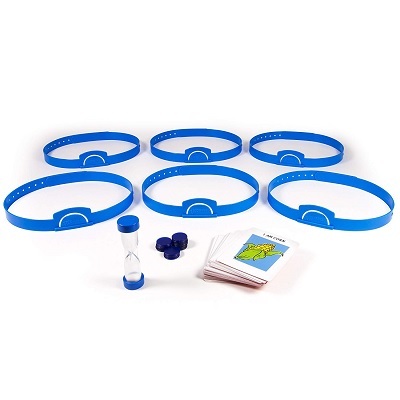 Most strategic games aid in quick response and decision making, not just in hand-eye coordination, but in making quick judgments and assessing situations. Many games that require a well-thought-out response are the equivalent of working out a mental muscle, a process researchers have coined as metacognition. The more parents can guide their children in the process of learning through games, the greater the benefits will be on average. q: Will the manufacturer’s warranty cover any parts that go missing over time with normal usage? The answer is yes! But, it will take some doing! The details of the warranty usually stipulate a complete replacement of the game, rather than parts. Also, there is a timeline for the life of the warranty. Since a lot of companies don’t like to hear too much bad talk about their products and services, sometimes things can get lost in the shuffle with customer service before the problems can be adequately addressed. 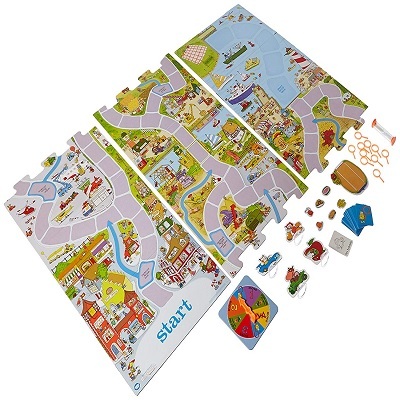 q: How can board games be more effective in cognitive development over physical activity? In a way, it’s like comparing apples to oranges. In some regards, they are like different seasons for different stages of development in life. Older children will tend to be more naturally sedentary, will learn and comprehend more complexities that can arise out of board game play. There is the fact that some concepts also need to be shown symbolically through games, rather than acted out, to illicit comprehension. q: Will some of these games grow with my child? For sure! Some of these games have already grown with at least three living generations already. Games such as Clue and Monopoly can be kept for decades and passed down like heirlooms if it’s seen fit! They’re more allegorical games delving into deeper realities that can always be revisited for years to come. q: Why play physical board games instead of doing these things virtually? Studies have shown that people still need solid human interactions, particularly children! Sure, everything these days is online and virtual, but that’s not what we were designed for. Children have a tendency to thrive more through this interaction of showing, explaining, pointing, and guiding. It develops not only relationships but deeper comprehension and aptitude. q: In what way can board games aid in divergent thinking? Most board games are more-suited to convergent rather than divergent thinking. Games such as Monopoly can be suited to divergent thinking. But this has more to do in the realm of what takes place once the participants step away from the board. Many of these games serve as blueprints for a much larger scale model. It can lay a foundation on which the child can expand and improvise on at a later date and within a different context. q: Can a travel-friendly version of most board games be purchased? Surprisingly, yes! 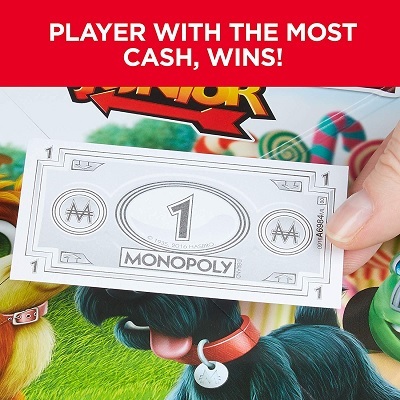 Monopoly has both a Grab ‘N Go version, as well as several travel versions that include zip-up travel cases. A quick Google or Amazon search and a travel version can probably be easily found almost any board game. For long road trips that will have a semi-permanent destination, it might be best just to pack of the full-sized tabletop version of whatever game you enjoy.